It’s such a joy to watch and listen to adults walking with their young children in the nature preserves I frequent. Some months ago, I overheard a mother say to her little boy, as they set out on their walk, “Look! All the birds are so happy – they’re singing their morning song!” I LOVE that! I wrote down her words right away so I wouldn’t forget. What a beautiful message this child is learning about life and the wonders of our natural world! 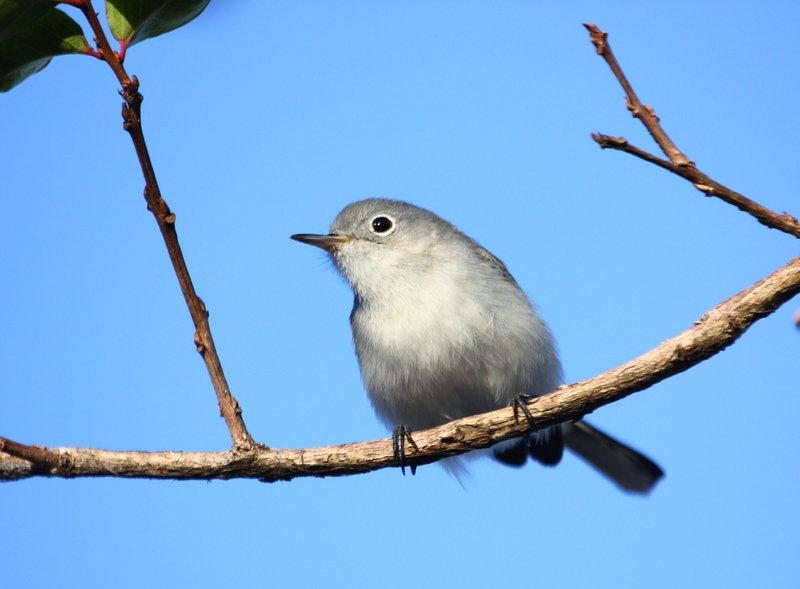 This little Blue-gray Gnatcatcher was chirping away in a tree in the parking lot this morning as I got out of my car. My joy at at seeing him close-up, singing away as he greeted the early morning sun, reminded me of that mother’s delightful message to her child. 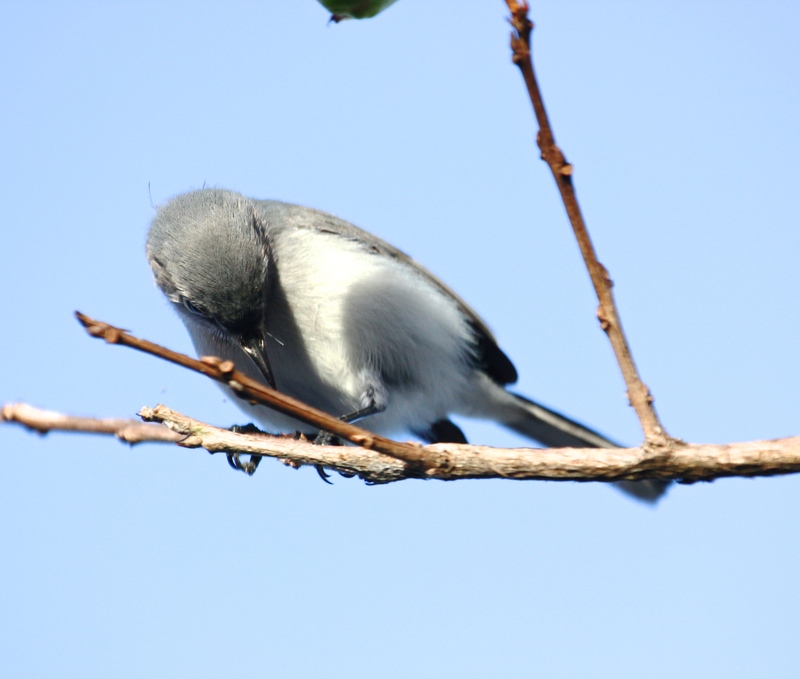 These teeny birds are often hard for me to spot – and even harder to capture in a photo – since they are only 4-5″ long, and are in constant motion. 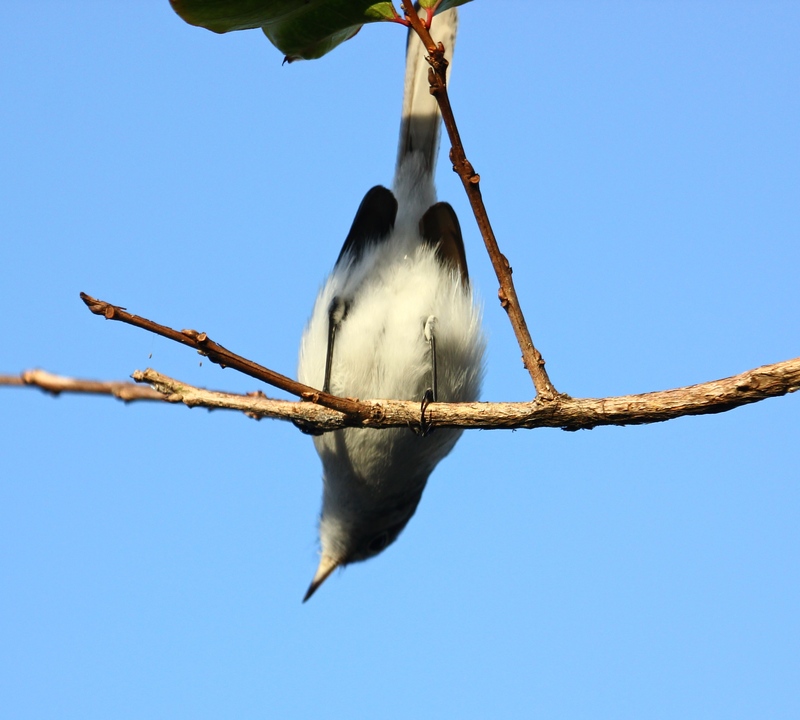 They flit from branch to branch and tree to tree almost before you can focus your binoculars or camera! « Happy 2015 to my fellow-bloggers! often the ones who are singing! So true, Sonja! Sometimes the sound of those little birds can be all around me, and I just cannot figure out where it’s coming from. That is so sweet and yet so true, the morning chorus is pure worship! It is sweet, especially a child that wants to learn. I see kids at nature reserves that are so misbehaved, I have to wonder why the parents bring them. Kids get impatient when they don’t see the animals they prefer, like them asking where are “animals with teeth?” Today I saw this child throwing rocks toward the small deer herd and mom busy on her cell phone. Fortunately I usually encounter families – or just dads, or just moms – who are truly sharing their own love of nature in a meaningful way with interested kids! Love seeing these chirpy cuties! Glad you enjoy them – they really brighten up the day!